MILAN IS ALWAYS A GOOD IDEA! OCTOBER! A most beautiful month. Autumn or Fall as it is also known is in full flow now. A collage of beautiful colours assault our senses. Mornings and evenings turn crisp and fresh…for those of us in the Northern Hemisphere that is! For readers in the Southern Hemisphere I suggest you read this post too – What To Wear Pool Side! October is a month that can be difficult to dress for. Mild days, cool evenings and the sprinkle of showers. Its certainly a time consider wearing Outerwear! NEVER FEAR – FASHIONABLE FRANK is here! As always I shall use outfits from my own wardrobe to provide outfit inspiration. 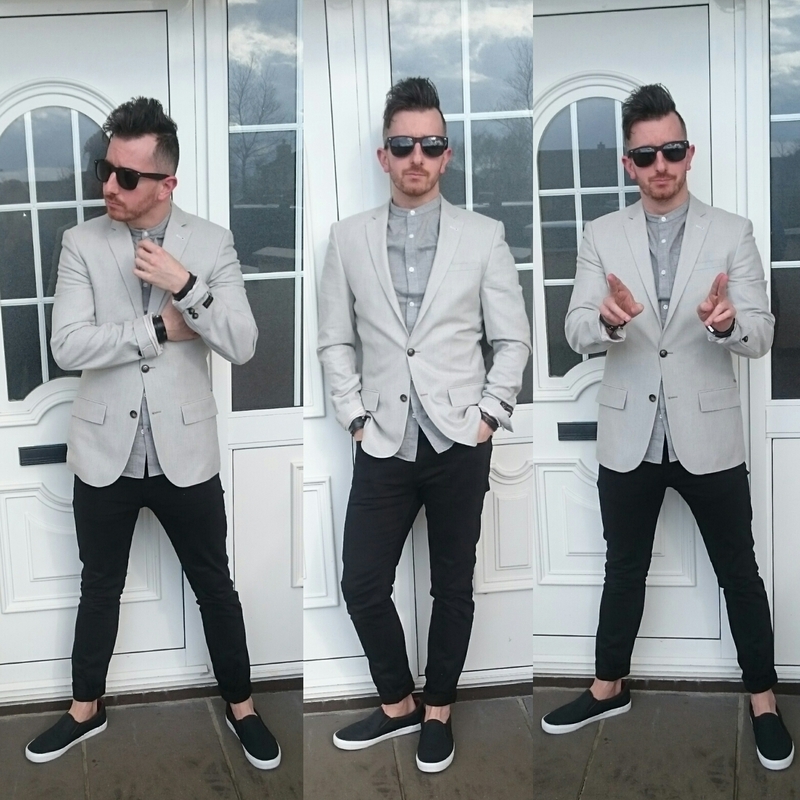 These are mostly made up of basics emphasising my theory regarding the “synergy” of an outfit! I love Outerwear! I love different coloured Outerwear to be precise. For A/W16 Tan is the big colour of the season. The neutral colour palette dominates Menswear. This may or may not mean something to you however it is important as it reflects the ad campaigns for the stores who want our hard earned cash! Of course the usual colour suspects are there (no Kyser Söze sightings just yet!….you got it?) black, navy and of course khaki! Everything is available in khaki these days! As October is still a transitional month The Denim Jacket makes it on the list. 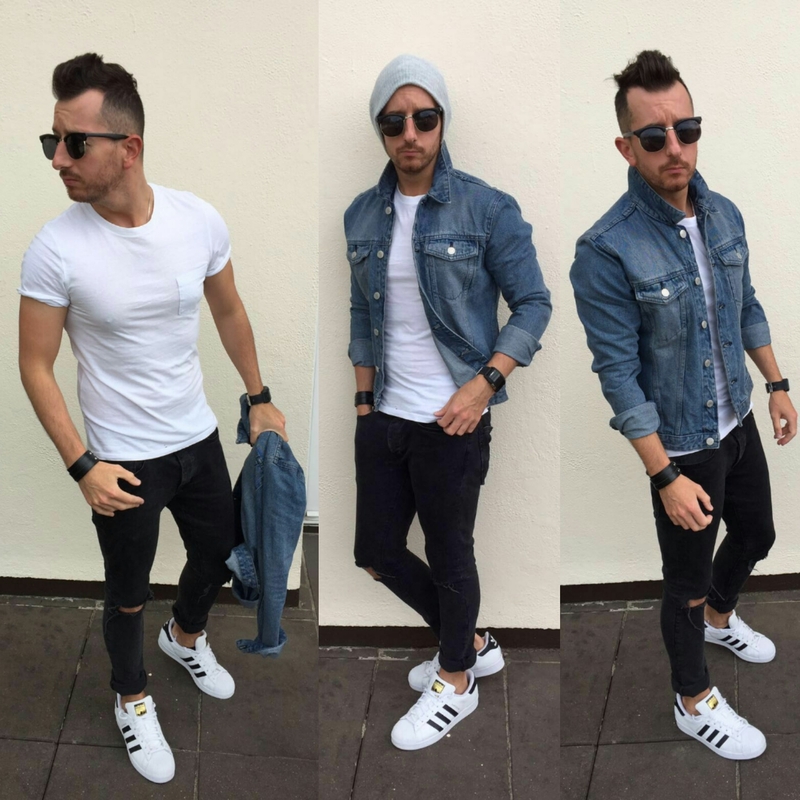 The Denim Jacket is simple, underused and very stylish piece of clothing! A bit like Led Zeppelin or Queen songs The Denim Jacket is imprinted in Fashion History! Whilst not at the forefront of our minds a Denim Jacket is something you should consider buying. Especially with the street style trend at the minute! I got mine from New Look Men. The must-have piece at the moment! The Bomber Jacket has reached saturation levels! Every Menswear store has them in stock in a variety of different colours, tan, black, navy, khaki even a dusty pink piece by Pull&Bear – it looks wicked! The Bomber Jacket is a wise investment. Not only is it stylish – It can also be dressed up or down very easily! Whether you are going to the pub to watch the footie or heading out for a few pints The Bomber Jacket has got you covered (literally!). I like The Tan Bomber Jacket. It looks well with almost everything! 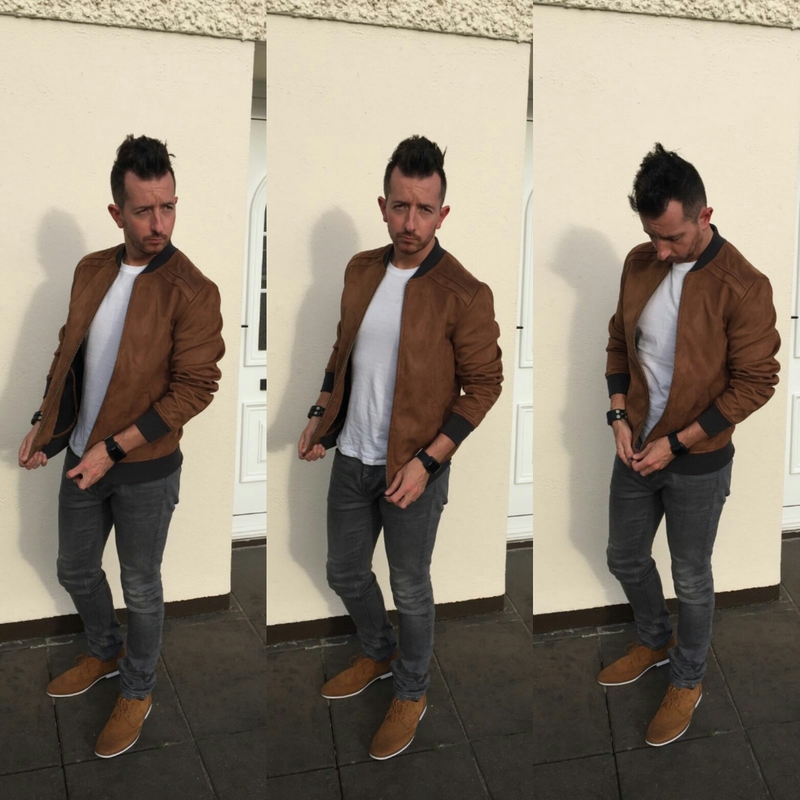 For more inspiration on this style check out my blogpost on the Tan Bomber here! The Overcoat has been trendy for the last 2 seasons. Its set to become more mainstream now with more fashion retailers stocking them – at great prices too. This Overcoat looks great with black as you can see. 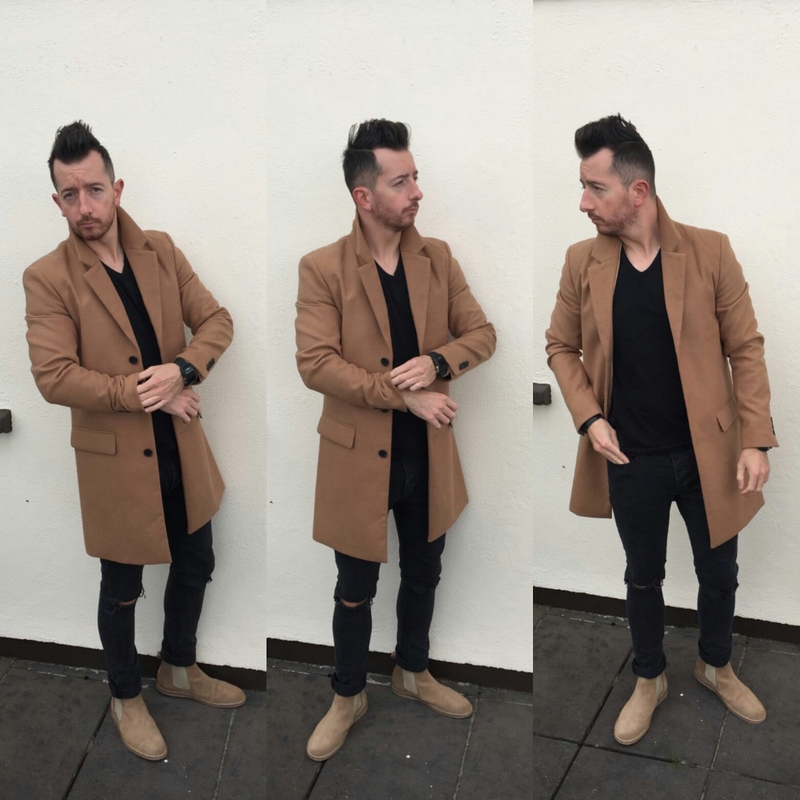 Use The Overcoat as the statement piece of your outfit to achieve the street style look! Add some suede Chelsea Boots for a contrast! 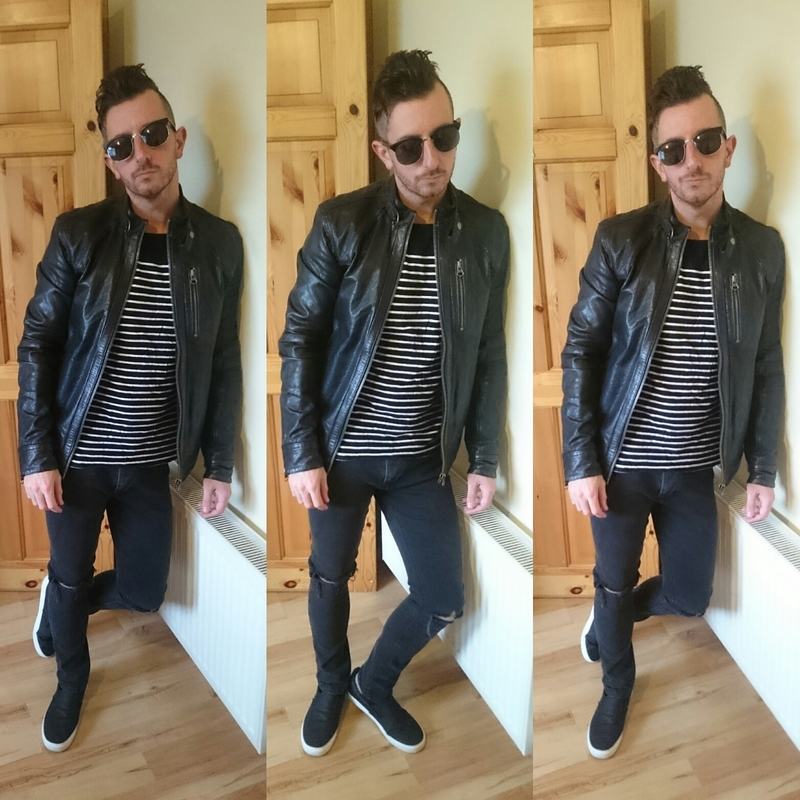 Check out the #imwearingri section of the River Island website to see more outfits from Fashionable Frank! The Leather Jacket! A timeless classic! I love it! 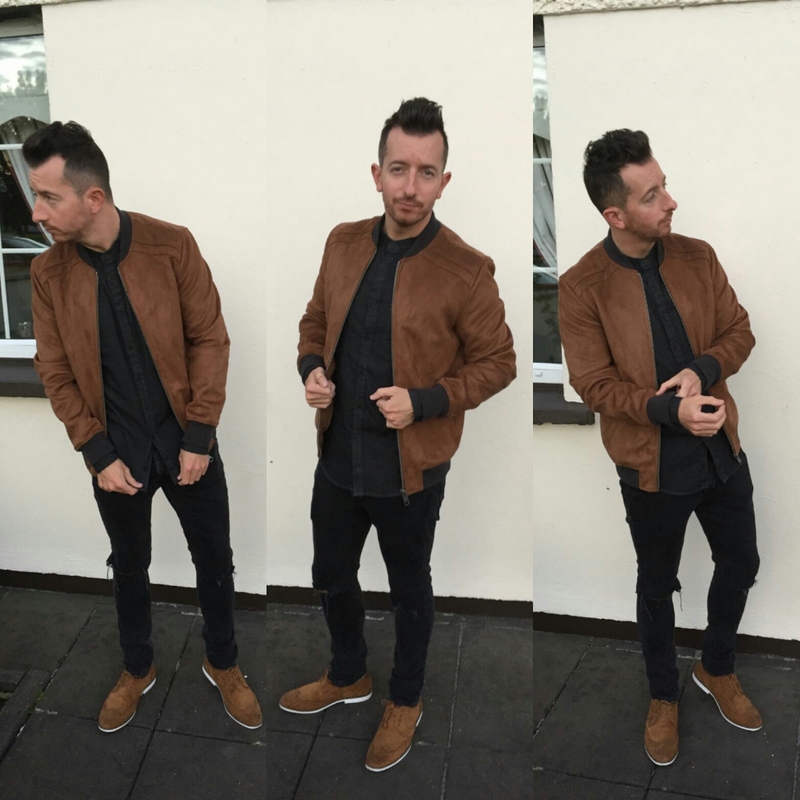 In an era of Bomber Jackets and Overcoats the Leather Jacket has taken a back seat in the mind of fashion retailers! However, any man wishing to strike the masculine street style look should consider this piece! The Leather Jacket in black is a great, versatile piece which will look good with practically anything. The Pictures I have chosen illustrate this I think! 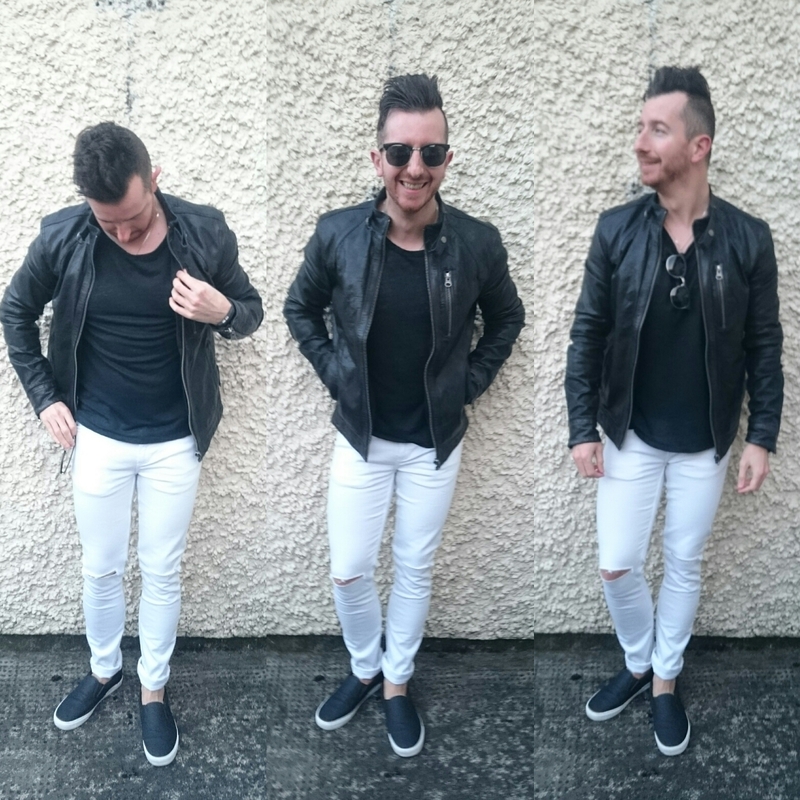 For more white jeans inspiration check out my blog post on HOW TO WEAR…WHITE JEANS here! 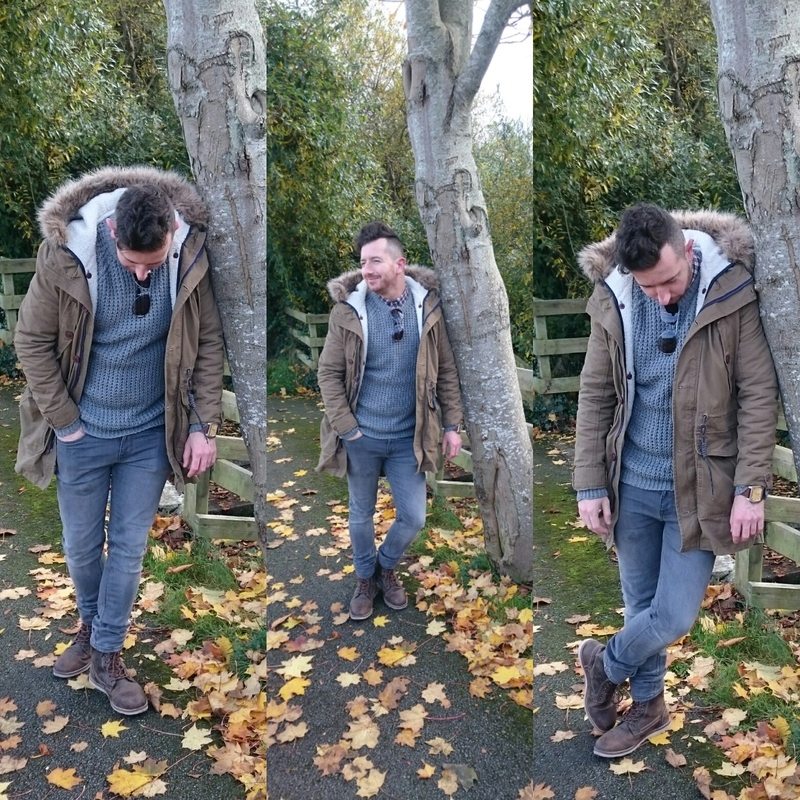 The Parka is the ideal choice for when the weather turns really. We all love crisp cool evenings where you can wrap up against the cold. The Parka is of course great for this —however when it rains the Parka provides you with a hood to keep your work of art hair from suffering water damage! We can’t have that!!!! The Parka was the most have piece from 2012-2014/15 which means you probably have one already (like me!). If not…. Here are some links to other great Parkas! The Blazer doesn’t immediately spring to mind when considering buying Outerwear. Autumn/Winter Blazers are usually very good quality and are heavy enough to keep you warm in crisp weather. Think Saturday night here! The Bomber and Overcoat are suitably stylish alternatives to The Blazer BUT nothing screams dapper style like The Blazer! The Blazer is a piece which can dressed down to a street style look rather than sticking to the traditionally formal looks The Blazer is usually associated with. Again there are a lot to choose from for this season. I have chosen a Camel/Tan Blazer. I hope you enjoyed this guide to buying outerwear and it has provided you with inspiration when buying yours. The outfits in the pictures help provide inspiration when constructing outfits as well. I’ve been Fashionable Frank and you have been FANTASTIC! Really cool and helpful blog! Thank you for visiting my blog! I really appreciate the positive comments too! no problem! 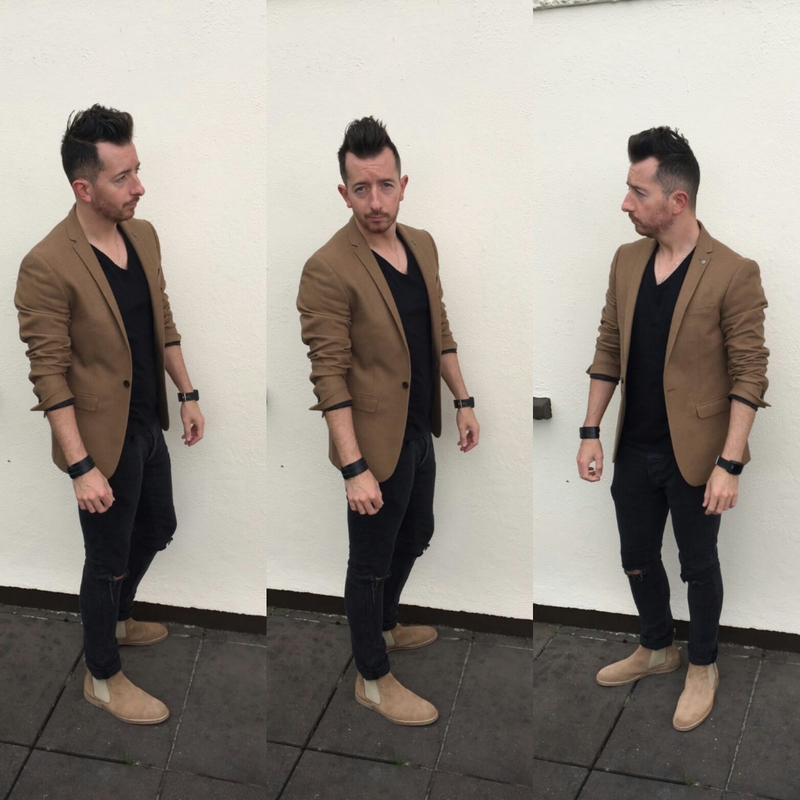 nice to see another Irish men’s blog! It certainly is! We are few in number. You have a great blog! Are you on instagram? Twitter? Tweet me, I’ll tweet back! Nobody does it better than @edsongsofpraise! Some @CarlySimonHQ Nobody does it better has made my Sunday even better! Great choice Ed!